← RTD District 1 Open House — Longmont! Hello Rail & FasTracks Advocates! It’s been a while since you’ve been updated on the progress made and what’s needed to complete our Northwest Corridor commuter rail. Worked with the Mayors and Commissioners Coalition (MCC) to adopt a fundable start-up commuter rail service which we are calling ‘Peak Service’. The plan will have three trains in the morning and three trains in the evening to move our work force efficiently to and from cities. Letters in support of the Peak Service were sent to the RTD board from the Longmont Economic Development partnership (LEDP), MCC and Commuting Solutions, a transit lobbying group. In March, a group of city councilors and staff, Longmont’s Mayor, State Representative Jonathan Singer (HD11) and two RTD Directors met with Governor Polis and his fiscal director, Cary Kennedy, to garner support for the completion of the Peak Service plan. Governor Polis supported us with a phone conversation to Dave Genova, RTD Executive Director and RTD board chair, Doug Tisdale. 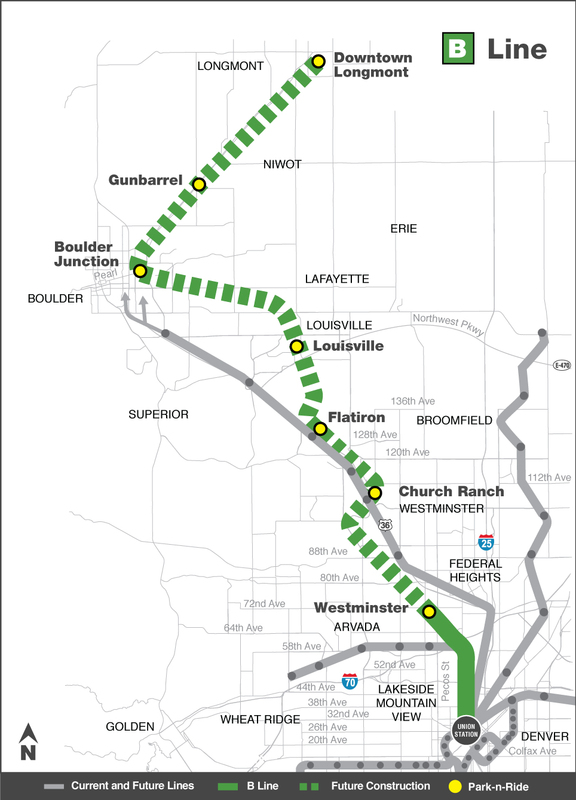 Boulder County has included the Northwest corridor in their updated transportation master plan. RTD District I Director, Judy Lubow and board Chair, Doug Tisdale, introduced a resolution to the FasTracks committee on Tuesday, April 2nd. The resolution directs staff to research and present to the board creative ways to fund all of the unfinished FasTracks corridors. The committee passed the resolution on a 12-2 vote. It will be presented for a final vote at the RTD board meeting on April 16th. The resolution directs staff to present the funding report in two months. VITALLY IMPORTANT: Upcoming Vote on Tuesday, April 16th! All of the above actions have taken many hours, meetings and conversations to achieve. That’s why the resolution vote on April 16th is vitally important. With the increased revenue that the Leeds School of Business reported, there are ways that RTD should be able to fund all of the FasTracks corridors. We need your help. If you are still interested in moving the commuter rail service forward, please attend the RTD April 16th board meeting (5:30pm, 1660 Blake St., Denver, agenda here.) and ask them to pass the resolution. Ask the board to move the completion date for this start up service from the 2040’s to the late 2020’s or 2030’s. The 2040 date referred to 55 trains a day, not 6. If you cannot attend the meeting, please email Barbara McManus at Barbara.mcmanus@rtd-denver.com — to voice your support of the resolution! Comments Off on Hello Rail & FasTracks Advocates!